Double ovens and additional appliances are all the craze in a new kitchen. But true luxury goes beyond having two ovens (or possibly three if you add a warming drawer). Extremely luxurious 2016 kitchen appliances might include French door ovens, steam ovens, touch-and-swipe controls, a dish washing drawer, and Bluetooth enabled appliances for remote control and syncing. 2016 kitchens also might include two refrigerators – one for wine, one for food. It also might mean adding a stunning range hood, or appliance bank if you’re looking for a contemporary look. In 2016, we continue to focus on eco-friendly design and there’s no easier way to incorporate that than with natural lighting that appeals to us as well. Everyone loves a bright kitchen. Now designs go beyond big windows to include sky lights and light tubes that bring in the natural sun. 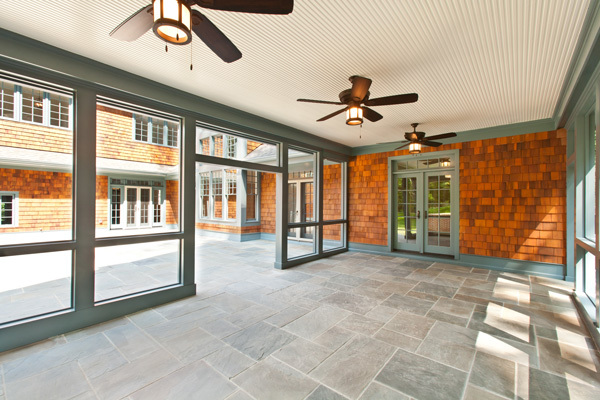 Openings much larger than windows or patio doors are also popular for more natural lighting. We’ve seen a surge in adding a open air loggia with stone floor off the back of the house as seen on our Melody Lane property. Open shelving isn’t for everyone, but it is a trend right now that you see at least in limited usage even on luxury kitchens. They add an open airy feeling. This works particularly nice for cookbooks, plants and stacked plates. Open shelving breaks up a kitchen design to add interest and beauty when done well. The opposite of this, but still important to integrate is hidden storage space. Using particularly large drawers is common, along with hiding appliances and tools within the kitchen cabinets. Have you seen hidden knife storage boxes that pop right up from your counter? Or the pullout lift for your heavy stand up mixer? And then there’s the option of hidden electrical outlets (not directly related to unique storage space, but still fun!). Just another creative way to clear your counters of clutter. All of the kitchens we design and build for our clients have the option of including these items, plus we typically build in green features, 10 foot ceilings, chef grade appliances, hardwood floors, two-piece crown mouldings, custom cabinetry, natural stone countertops, custom backsplash, Zenon under cabinet lighting, large walk-in pantry with custom storage shelving and butler’s pantry with built-ins. 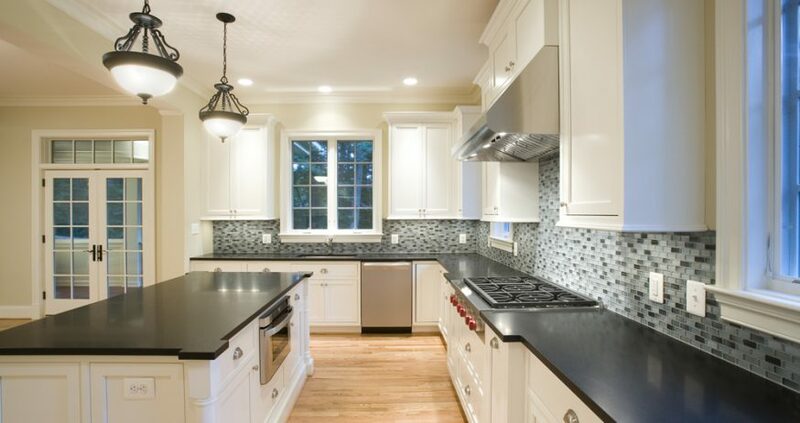 If you are interested in a new home in the Bethesda, Maryland or Washington DC area, contact us for more information and ideas for your luxury kitchen!